With a moderate southerly wind ahead of a low pressure system centred over southern China, combined with some heavy overcast at dawn, expectations were high for “something good”. In all, eighty-eight species were logged in 1-Gu during the day. 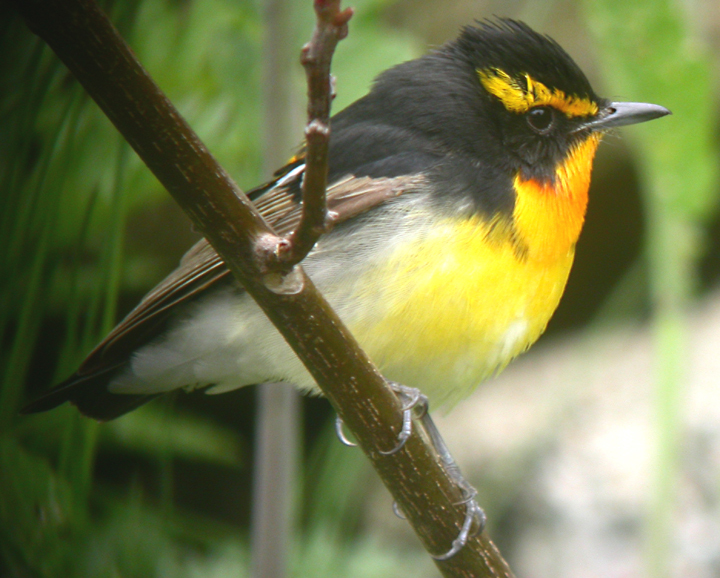 First highlight of the day was an Asian Verditer Flycatcher, followed shortly after by a possible owstoni “Ryukyu Narcissus Flycatcher”, then an adult male Citrine Wagtail, followed soon after by two (!) Siberian Chiffchaff together…Other birds of note included the personal first Mugimaki and Chinese Grosbeak of the spring, and four species of starling (8 Chestnut-cheeked, 4 or 5 Red-billed, 3 White-cheeked and a single adult male Daurian). 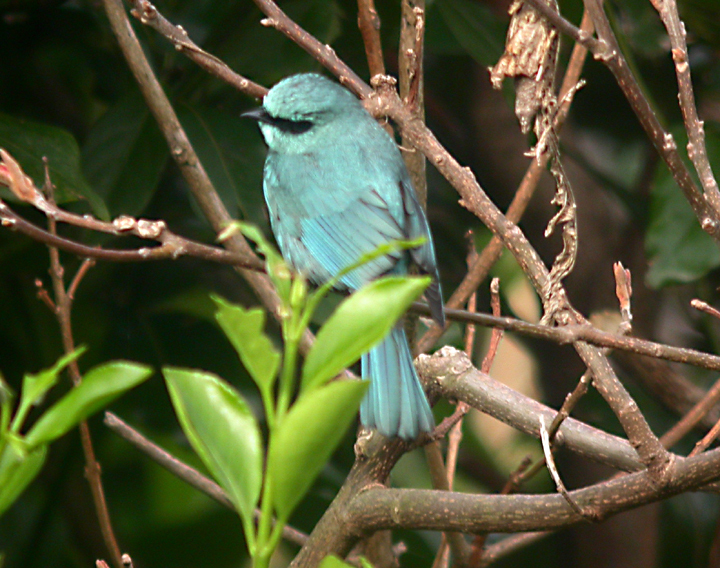 In warm sunshine, 84 species logged in 1-Gu, with most in reduced numbers (e.g. 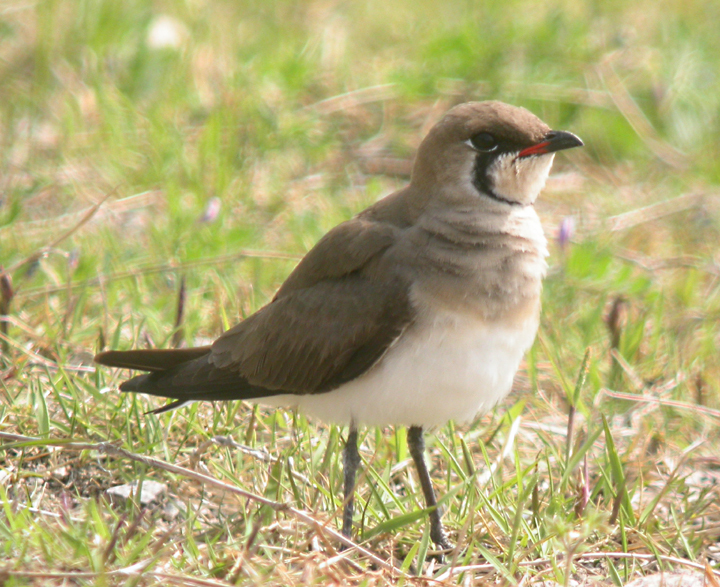 many of the shorebirds, including the Pectoral Sandpiper and Bar-tailed Godwit, have departed the island, though Sharp-tailed Sandpiper increased to six, and an Oriental Pratincole sunning itself in the park in front of the minbak was also a surprise!). 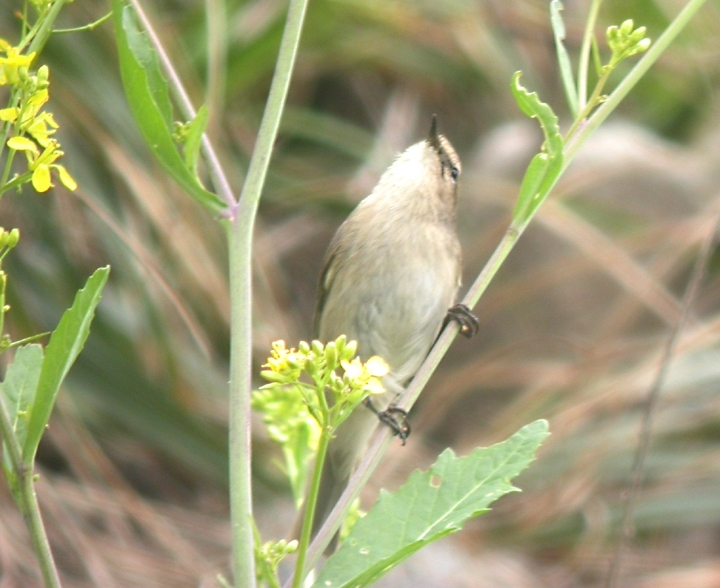 Of most interest was an odd female Narcissus Flycatcher-type. 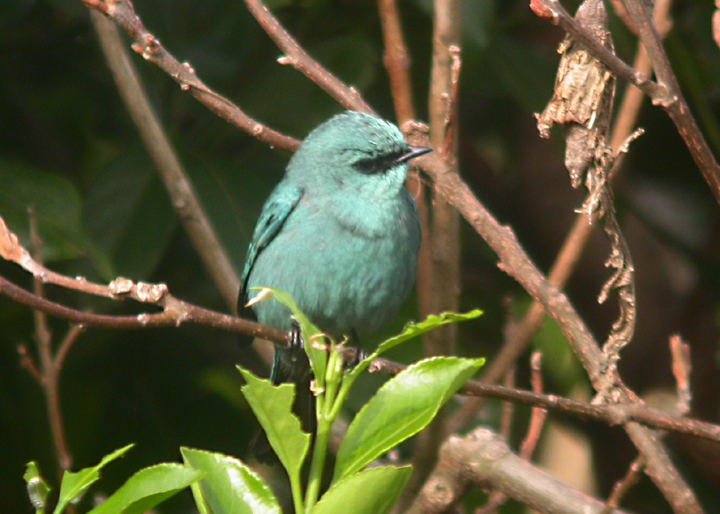 In shade, this individual was clearly yellow on most of the underparts, and rather green-toned above; in sunlight, however, the bird appeared somewhat plainer. 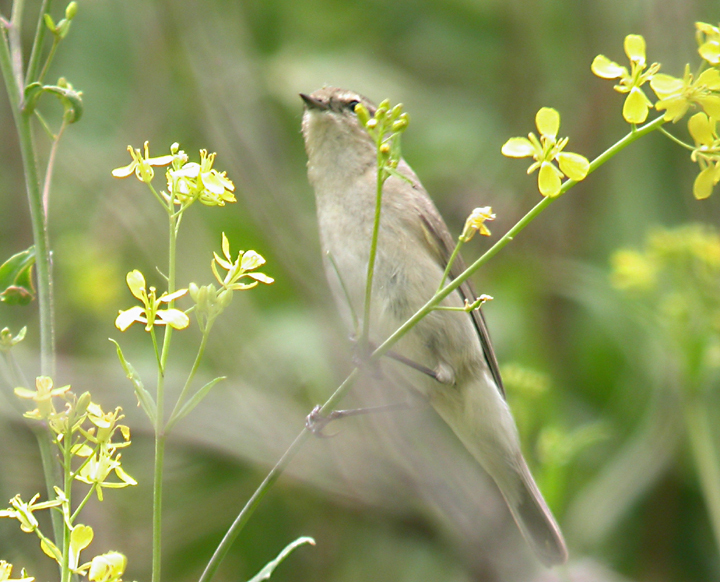 Details of the wing (disgiscoped through an obviously SUPERB Swarovski scope) suggest that there were only seven primary tips exposed beyond the longest tertial: a little short for “typical” narcissina and along with the yellow-toned eye-ring and underparts perhaps a better fit for a Second calendar year female elisae? 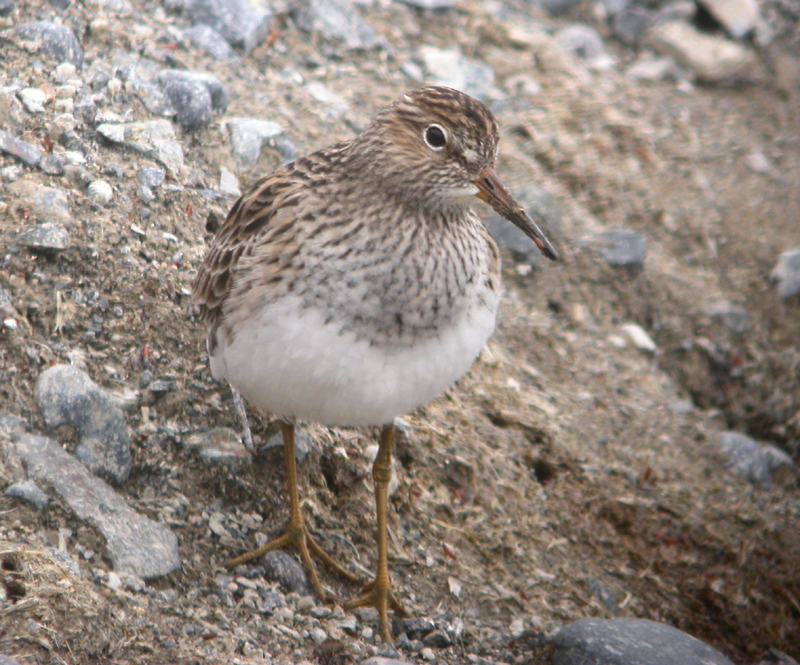 In fair weather (so much for the forecast day of rain and cloud…), good views, finally, of the Pectoral Sandpiper and a few new species in (including the personal first Japanese Quail, Daurian Starling (a female), Chestnut-eared and Yellow-browed Buntings led to the decision to undertake the long hike to 2-Gu. In total, an exceptional 106 species were logged for the day (with 94 of these in 1-Gu), with best on the way to 2-Gu being decent views of a Black Woodpigeon, a cracking adult male davisoni Siberian Thrush and a Grey-streaked Flycatcher (both so much earlier here than on islands further north). At 2-Gu itself, rather quiet (apart from the construction – this time for a new fence to protect hikers from the natural scenery) with the exception of 8+ Light-vented Bulbul and a Richard’s Pipit. Heavy rain overnight through until the afternoon, followed by fog banks and a shift in wind direction from SE 5-6, to W 3-4. 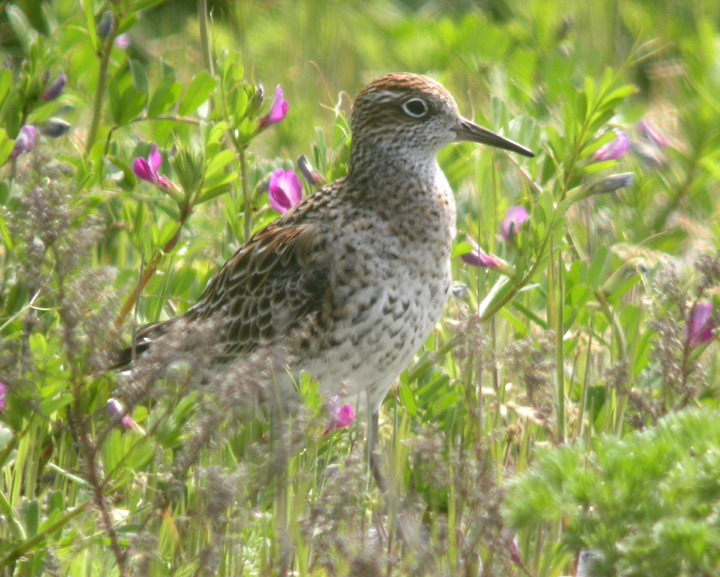 In 1-Gu, limited survey found 81 species, with nine “new in” including at least one Chinese Egret, an Oriental Pratincole, Little Whimbrel (two or more heard after dark), Marsh Sandpiper (4-5) and best of all a Pectoral Sandpiper (presumably a first record for Gageo), joining a growing list of shorebirds on the island. 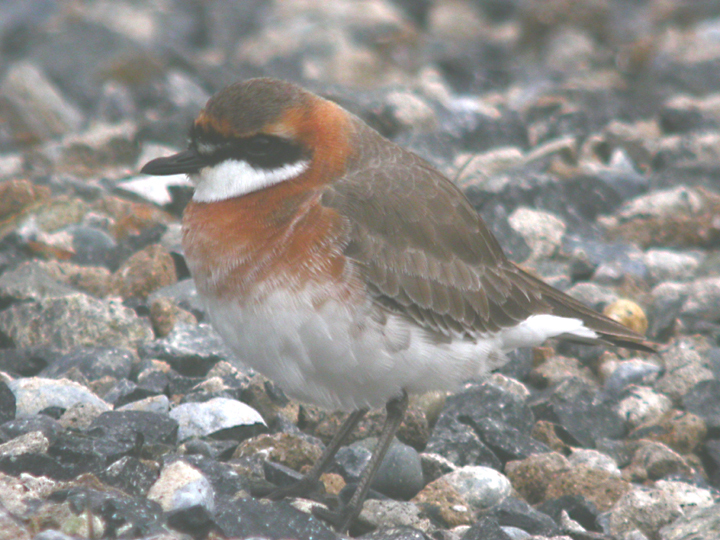 The northwestward track of the low pressure system across the Yellow Sea (from near Shangai) was also likely to drift a fair number of birds from the “Southern Crossing” (between China and Japan), and there was a Japanese feel to the birding provided by e.g. 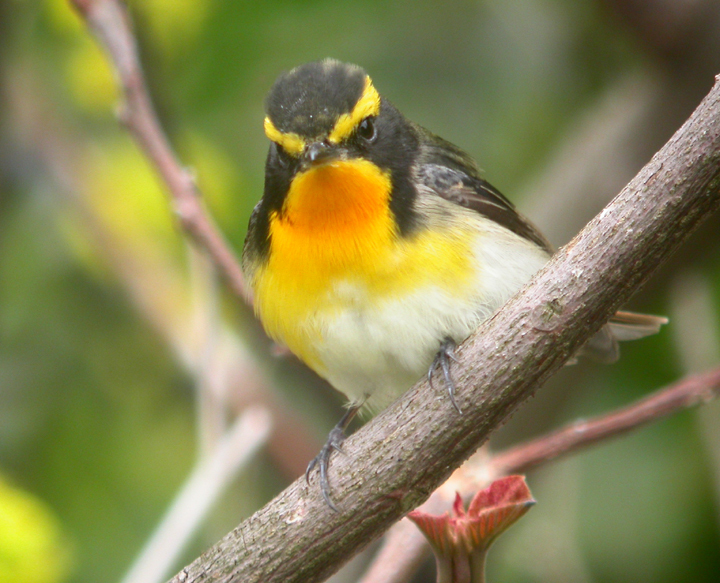 10+ Narcissus Flycatcher and 30+ Brown-headed Thrush, in addition to five Yellow Bunting, a Latham’s Snipe and early singing Oriental Reed Warbler.